Nazeem Hussain is a comedian, TV personality, writer and activist. 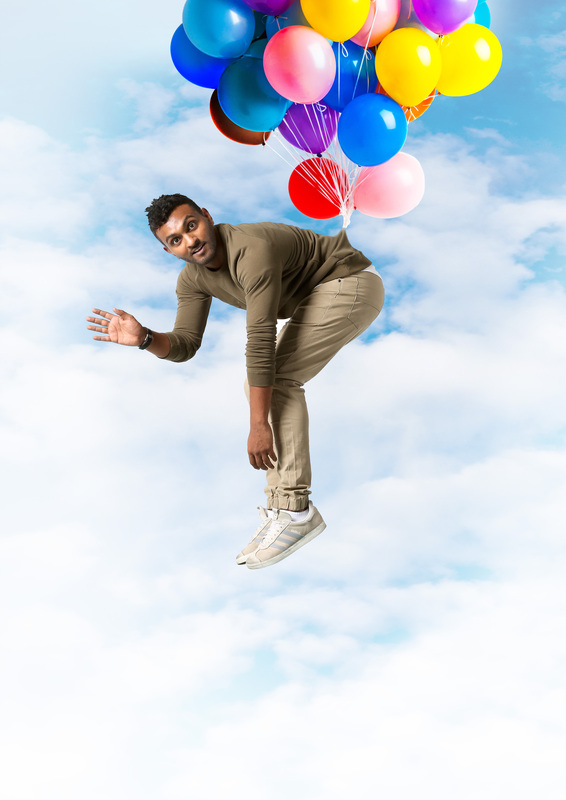 Nazeem Hussain has fast become one of the most in-demand TV and Radio personalities in Australia. His new TV show ‘Orange is The New Brown’ will premiere on Channel 7 in 2018! He has just filmed his debut Netflix stand up special – ‘Nazeem Hussain: Public Frenemy’ at the Just For Laughs Festival in Montreal, to be streamed worldwide in 2019. Nazeem is best known as the star and creator of the critically acclaimed TV show, ‘Legally Brown’, airing for two seasons on SBS in 2013 & 2014. The show broke ground with it’s boundary-pushing content, received wide spread critical acclaim and was nominated for Most Outstanding Comedy at the 2015 Logie Awards. He made his American TV debut as an official correspondent for the hit Netflix program “Bill Nye Saves the World” with American scientist and TV personality Bill Nye (popularly known as ‘Bill Nye the Science guy’), currently in it’s second series. He was also invited to perform at the prestigious Montreal ‘Just for Laughs Festival’ as a part of Kevin Hart’s LOL network. Nazeem’s 2017 sell out show “Public Frenemy” garnered his second Helpmann Award nomination for Best Comedy. A busy year for Nazeem he was one of the four celebrity finalists in the 2017 Australian season of Network Ten’s hit reality TV show, “I’m a Celebrity… Get Me Out of Here!”. Nazeem was a regular on the Comedy Channel’s hugely successful, ASTRA award-winning ‘Balls of Steel Australia’. His self-created character, Calvin Khan – the Very Foreign Correspondent, saw his episodes achieve the highest ratings of the season. Nazeem also starred on the cult-hit Salam Café on SBS, which was nominated for a Logie Award in 2009. Other TV appearances include; ‘The Full Brazilan’ (SBS), ‘The Project’ (Ten), ‘The Feed’ (SBS), ABC News Breakfast (ABC) and leading news and politics panel show ‘Q and A’, alongside Malcolm Turnbull and Lindsay Tanner. A familiar voice on the airwaves, Nazeem also recently guest presented the coveted Breakfast time slot for Matt & Alex on Triple J and is a regular on NOVA. In 2011 Nazeem performed with Fear of a Brown Planet at the Edinburgh Festival Fringe, the world’s largest arts festival, and received the highest accolades given that year from the esteemed Guardian newspaper. That same year FOABP was the focus of an episode of Australian Story. The episode documented Aamer Rahman and Nazeem’s lives in Australia as well as their debut performances in Edinburgh and London. Performing as the support act for renowned US comic (and Nazeem’s idol) Dave Chappelle in his 2014 Australian tour was another career highlight and also a dream fulfilled for Nazeem. To add to this list of ever growing credits; Burn Your Passport, Nazeem’s first Comedy Podcast recently won iTunes Best Comedy Podcast of 2016. Launching in only April of this year, it was one of the first round of Podcasts to be commissioned by ABC Radio and is also ranked in the Top 20 most listened to Podcasts in Australia. 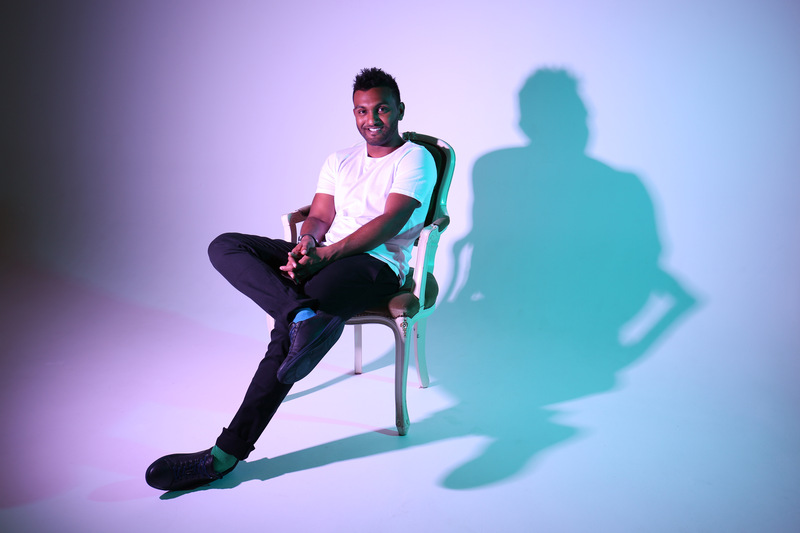 In 2015 Nazeem’s first ever solo stand-up tour was one of the most successful shows to come out of the Melbourne & Sydney International Comedy Festivals and was nominated for a Helpmann Award for Best Comedy. His 2016 follow up show was equally as successful and toured around Australia and NZ, Antwerp, Paris and sold out London’s prestigious Soho Theatre, twice over. In 2016 and 2017, Nazeem returned to the Edinburgh Fringe and once again he managed to impress the harshest critics and won himself new audiences with a completely sold out run! A rarity even for Edinburgh Fringe veterans.